A "spirit" of calm and tranquility has come over the office today. A great relief after some tense weeks before the national extraordinary assembly over the weekend. 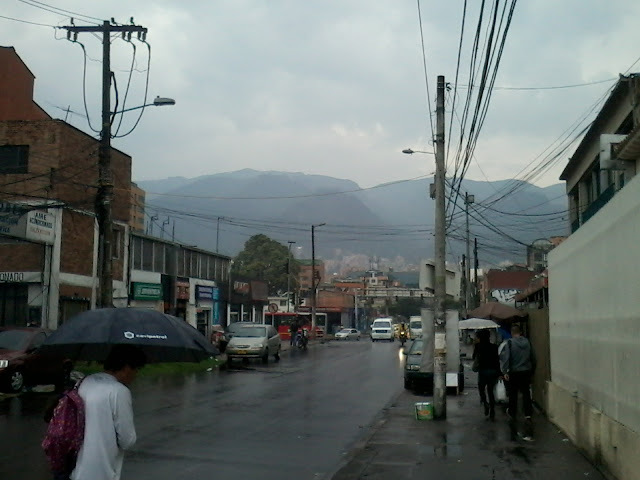 This comes together with some long awaited and much needed rain in Colombia, giving a peaceful feeling. Looking towards the misty mountains on the rainy yet peaceful day. Photo by Curtis.